FOR DEMONSTRATION PURPOSES ONLY. NOT VALID TICKETS. Add the two cards in your hand. If YOUR HAND is higher than the DEALERS HAND, WIN the prize for that hand. If YOUR HAND equals 21, WIN DOUBLE the prize for that hand. J, Q, K = 10, A = 11. Fast Play PRO instant games are just like our instant-style terminal Fast Play games but with a PROgressive rolling jackpot, hence Fast Play PRO. Fast Play PRO games feature a rolling jackpot; starts at a set amount and increases with each ticket sold until it is won. Fast Play PRO games, like Fast Play, can be played and validated immediately without waiting for a draw, much like an instant ticket. 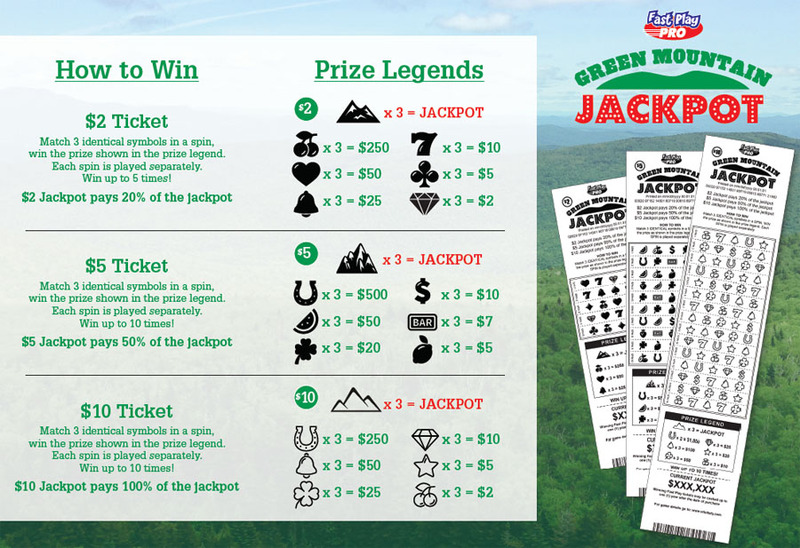 Visit your favorite Vermont Lottery agent or any of the 100 WinStations (our ticket vending machines) located throughout the state to get the latest Fast Play Pro games. 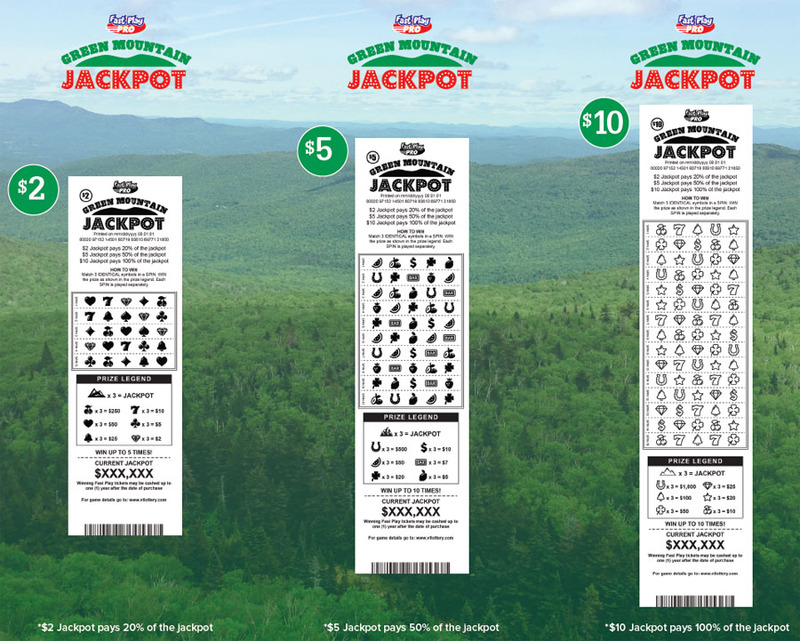 Prizes under $500 may be claimed at any authorized Vermont Lottery Agent location. Any prize amount may be claimed at Lottery headquarters in Berlin, Vermont. Overall Odds of winning a prize vary with each new game. Just follow the directions on each ticket to see if you’ve won. Remaining prizes, including top prizes, are subject to the number of tickets distributed, sold and redeemed.